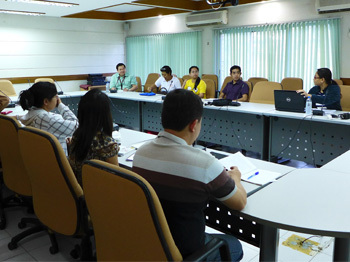 The Museum's research and extension efforts hope to get better mileage this coming 2015 with the inclusion of its staff in an Information Officers' network recently formed by the Office of the Vice-Chancellor for Research and Extension (OVCRE). According to Director Ireneo L. Lit Jr., MNH staff Florante A. Cruz (University Extension Specialist II) and James DV. Alvarez (University Extension Associate I) have been included in the network and "are expected to effectively and timely share updates and news to other members of the whole OVCRE organization." 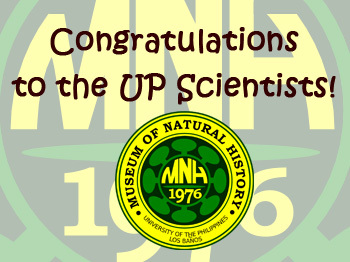 Five curators from the UPLB Museum of Natural History are set to be appointed as UP Scientists, as per information from the UP Office of the Vice President for Academic Affairs. In a message to the UPLB Administration, Vice-President Gisela P. Concepcion announced the names of 27 UPLB faculty who were included in the UP Scientific Productive System's roster of UP Scientists for the period CY 2014-2016. 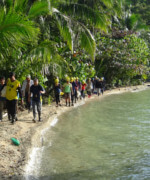 Included in this group were some curators from the Museum's Entomological Museum, Zoological and Wildlife Museum, and Forestry and Mycological Herbaria. A new species of armored scale insect has been described and illustrated as the second species of Unaspis in the Philippines by UPLB Museum of Natural History Director Ireneo L. Lit, Jr. and his graduate apprentice Mr. Normandy M. Barbecho, with official publication made through the Germany-based scientific journal ARTHROPODA Generalis. Dr. Lit is also a professor at the UPLB Institute of Biological Sciences while Mr. Barbecho is his advisee currently finishing his Master of Science in Entomology degree from UPLB. 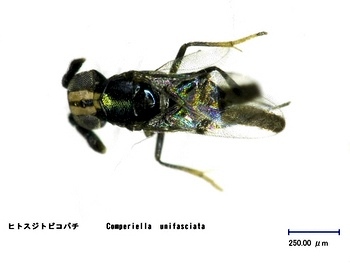 According to the authors, Unaspis mabilis Lit & Barbecho, n. 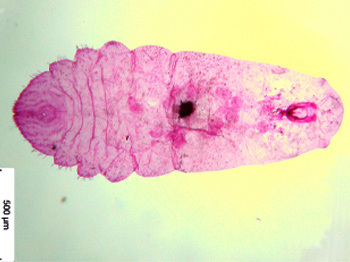 sp., is a sucking insect which is known to occur in Luzon, Mindoro, Panay, Mindanao islands, attacking Lanzones (Lansium domesticum). 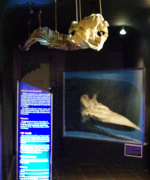 In homage to the intellect and principles of Apolinario Mabini “The Sublime Paralytic”, the Museum of Natural History presents a mini-exhibit featuring the flora and fauna named after the Philippine hero. The mini-exhibit also features some excerpts from Mabini’s writings. 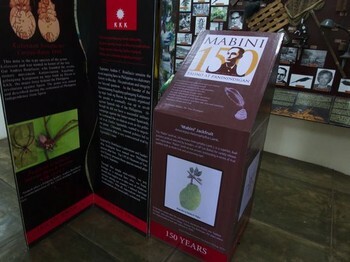 Mabini has been honored by scientists who have named after him a species of mosquito, Tripteroides mabinii and a spider, Pardosa mabinii. 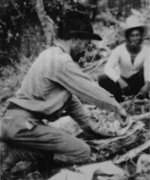 Mabini's legacy also served as inspiration of plant breeders from UP Los Banos, who have develop an excellent variety of jackfruit, which was given the varietal name “Mabini Jackfruit”. 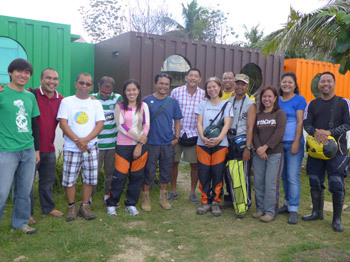 MNH Curator Mario V. Navasero, along with Marcela N. Navasero and Dr. Teodoro Mendoza (Crop Protection Cluster and Crop Science Cluster, respectively) recently found the presence of parasitoids against the Coconut Scale Insect (Aspiodotus rigidus) which has ravaged outbreak more than 2 million coconut trees in the CALABARZON Region.